Dr Sunil Joshi is a world-renowned expert on Pancha Karma and is the author of Ayurveda and Panchakarma, Lotus Press, USA, 1997. 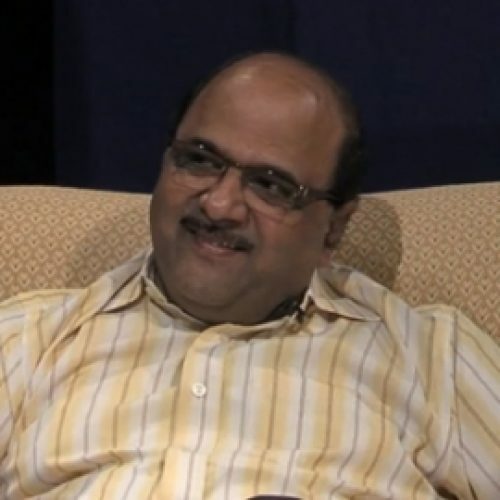 Dr. Sunil V. Joshi graduated from Government College of Ayurveda, Nagpur University, Nagpur, India in 1983 with a BMAS. In in 1988 he completed his MD(ayu) in the Clinical Aplication of Panchakarma from the Shree Ayurveda College and Research Institute, Nagpur University, Nagpur, India. He began his clinical practice in 1983. Due to his outstanding accomplishments in the field of Ayurveda, Dr. Joshi was honored as the youngest recipient of the Maharshi Annasaheb Patwardhan award by the Vaidya Khadiwale Samshodhan Foundation, Pune in 1993. He established the Vinayak Panchakarma Chikitsalaya in 1985. Dr. Joshi began traveling to North America in 1989 to help propagate Ayurveda in the West. In 1997 he was invited to South Africa to help establish the first licensing program for Ayurvedic practitioners outside of India with the help of the South African Ayurvedic Medical Association. This experience encouraged him to develop a more extensive program for foreign practitioners of Ayurveda. The Vinayak Ayurveda and Panchakarma Research Foundation was established in 2002 by Dr Joshi. The goal of the Foundation is to train prospective students to become qualified Ayurvedic practitioners dedicated to bringing Ayurveda to the world. Dr. Joshi feels that it is crucial for Ayurveda to become established in the West and that this program will be an initial step towards accomplishing that goal. He has been the clinical adviser for the European Institute of Vedic Studies since 2005. He has taught a number of courses in Europe for EIVS in Switzerland, the United Kingdom and France. Dr. Joshi is also a teacher for EIVS since 2005 and since 2006 has run the Clinical Studies Program in Nagpur, India for EIVS students. We are mystified by students who study with people who have limited or no clinical experience. Dr. Sunil V. Joshi has over 34 years of clinical experience and has been the direct disciple of the greatest living Vaidya in his area of India during his youth.